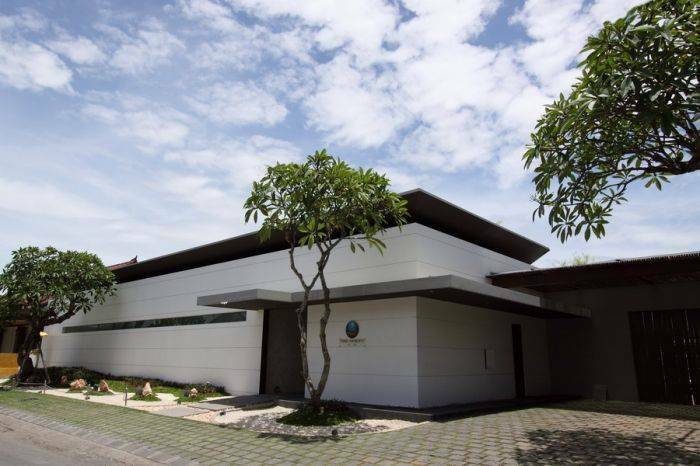 Inspired by ancient philosophy, Seiryu Villas offer a silent luxury living at superb fast growing location of Seminyak. 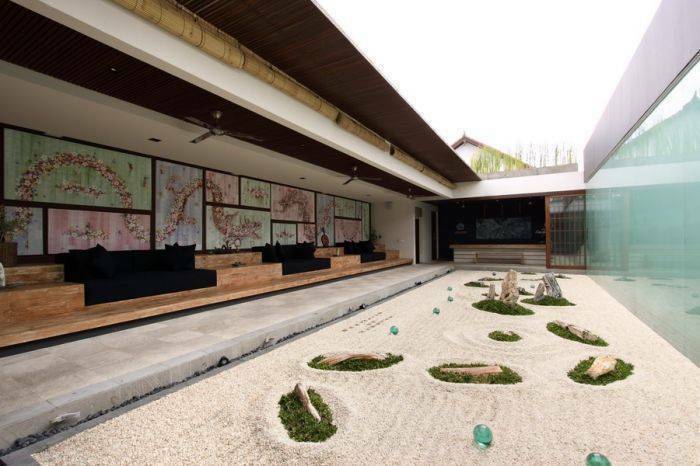 Seiryu (literally means silent dragon) set in modern architectural and interior style as a fusion of Japanese and Balinese elements delivers a contemporary elegance and convenient stay, exclusively for couples. Simple phrases sufficiently representing the quality of Seiryu Villas are unparalleled luxury, incomparable prestige and absolute privacy. Simply fill in your days with us by luxuriating in our culinary delights or cool splash of our private pool. 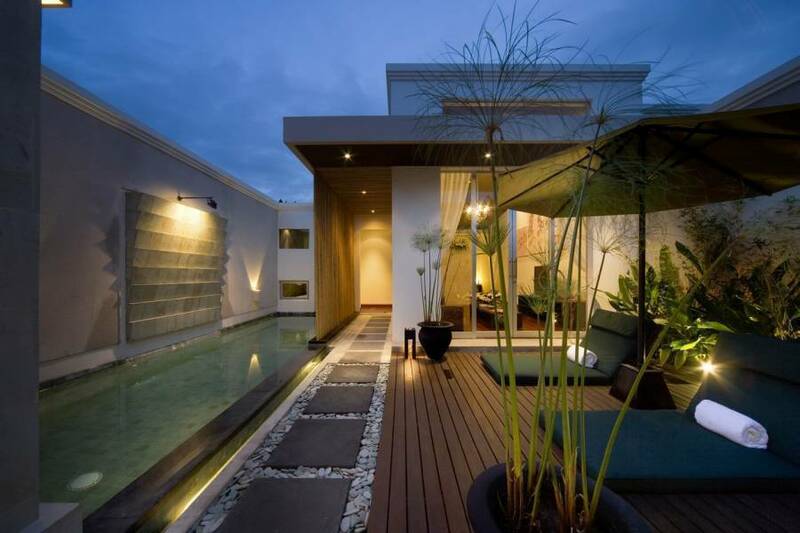 Besides, it’s within convenient reach of Bali’s trendy restaurants and shopping spots in town. Airport transfers, shuttle service to Kuta area, free unlimited Wi-Fi internet access, usage of laptop at Lobby area and car park. 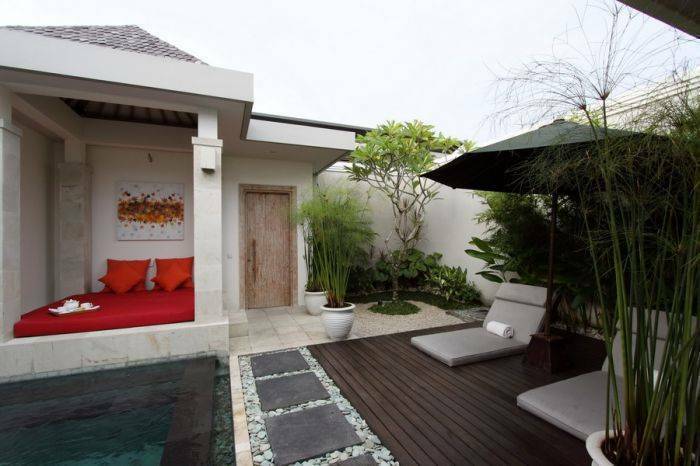 Located on premier tourist resort of Seminyak area, within walking distance to Seminyak beach, shops, restaurants / bar. From airport drive through to Jalan Raya Seminyak and on the cross road of Seminyak turn left to Jl. Camplung Tanduk (formerly Jl Dhyana Pura or Abimanyu) then turn right to Jl. Drupadi. The Seiryu is located on the right side.